Bulk Amino Egg White powder is sprayed dried dispersible, egg protein manufactured directly from egg whites. They have very high protein content with approximately 80% protein per serving.This high protein content helps in growth and maintenance of muscle mass. Every 3.3gm of Egg white powder is equivalent to eating approx. 1 medium egg. It is very low in fat (0.2g) and carbohydrate (5.3gm) content making it an ideal choice for people looking for reducing body fat.It is gluten-free, containing no preservatives, no artificial color or flavors, and no artificial sweetener. 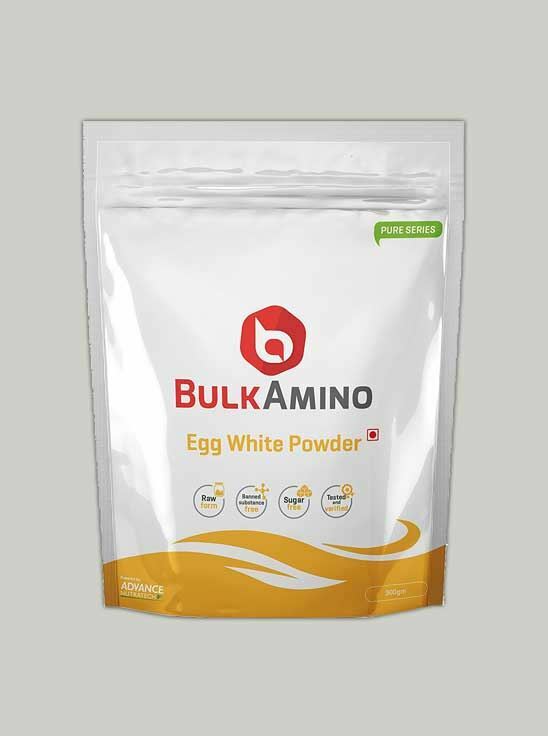 Bulk Amino Egg White powder is suitable if you are looking for increasing protein intake. Best choice for people with lactose intolerance.